DON McQueen built himself a cricket ground. 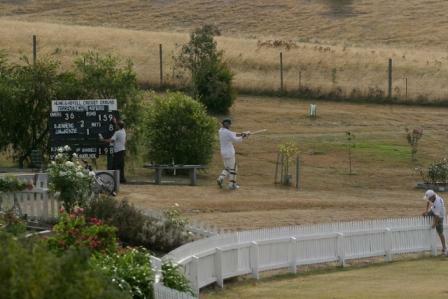 An English-style cricket ground in the bush. An hour or so north of Melbourne, near Kinglake National Park. Bushfire country. Don turned a paddock into a lush green oval. Six turf wickets in the middle. He built a white picket fence around the oval. He built practice nets. Four synthetic wickets. He built a pavilion, with a café and bar. A bed and breakfast. A bunk-house for big groups of cricket lovers. He built a cricket memorabilia shop. And he built a scoreboard. 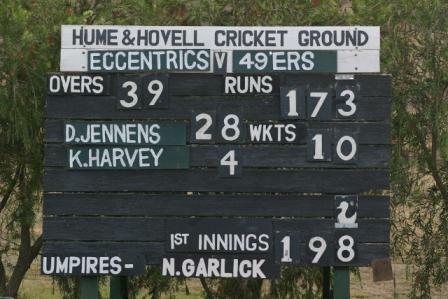 “I built the scoreboard from recycled timber from an old shed that was demolished in an East Malvern house nearby to where I was living prior to moving up to Strath Creek,” Don explained via email. At a local council asset sale in Albert Park, Melbourne – during the time of council amalgamations in 1994 – Don bought a cricket pitch roller and a wooden box of metal scoreboard numbers. Don made the scoreboard’s nameplates from strips of masonite that had been protecting packs of bricks. “I painted the strips black, purchased some cardboard stencils the same width as the strips, and painted names and teams on them. 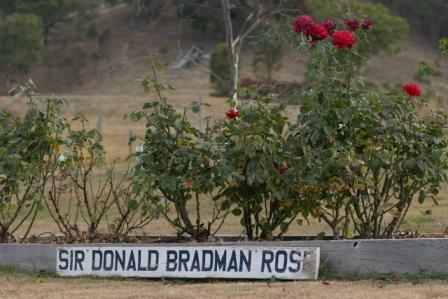 The Black Saturday bushfires on February 9 2009 didn’t spare the Hume And Hovell Cricket Ground. But the fires didn’t destroy the oasis either. “We lost our main machinery shed, our paddocks and our fencing but we were able to save the pavilion and our home,” said Don. The scoreboard was unscathed. 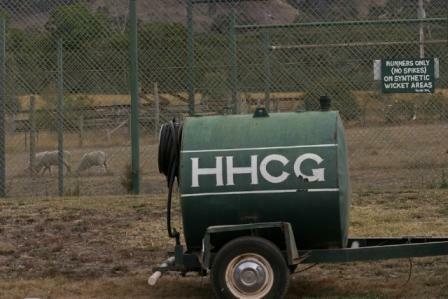 “I had heard all about the unique Strath Creek ground and was keen to see it for myself,” said Margaret Swan, who took these photos while watching her son play for the Eccentrics, in February 2006. “The drive as you approach the ground is hilly and spectacular.It was a hot day when I visited, followed by a balmy summery evening. Margaret describes herself as “a cricket and signage lover”. She especially loves listening to cricket on the radio. 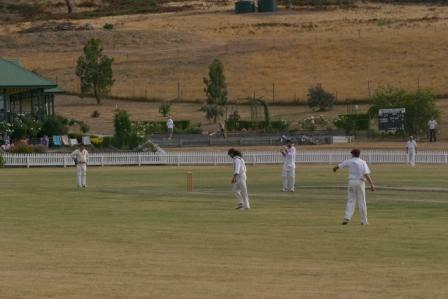 The Hume And Hovell Cricket Ground was founded in 1994. It is available for various functions, cricketing and otherwise.